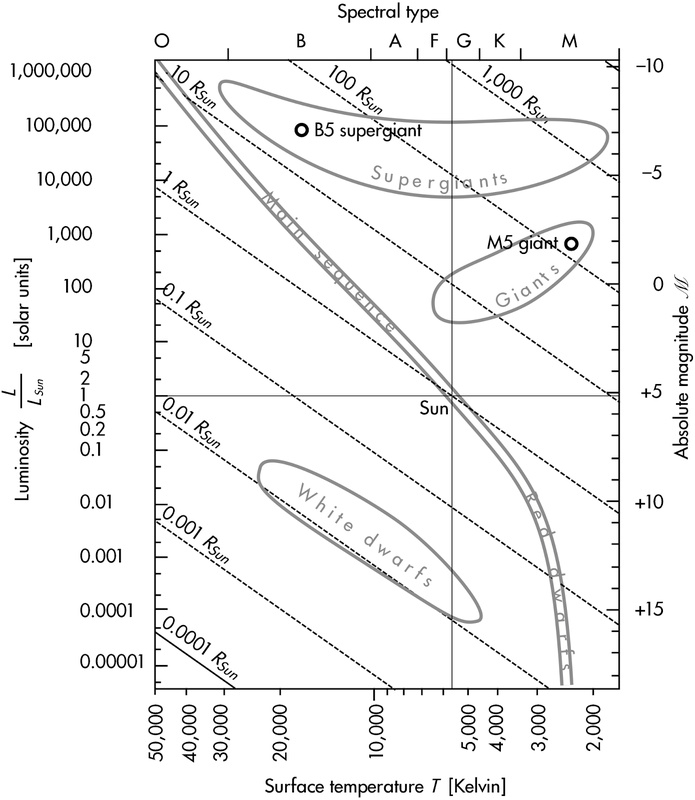 A B5 supergiant has a ___________ than an M5 giant. These stars are plotted on an H-R diagram below. While the B5 supergiant has a brighter luminosity and a hotter temperature, it has a smaller size than the M5 supergiant.